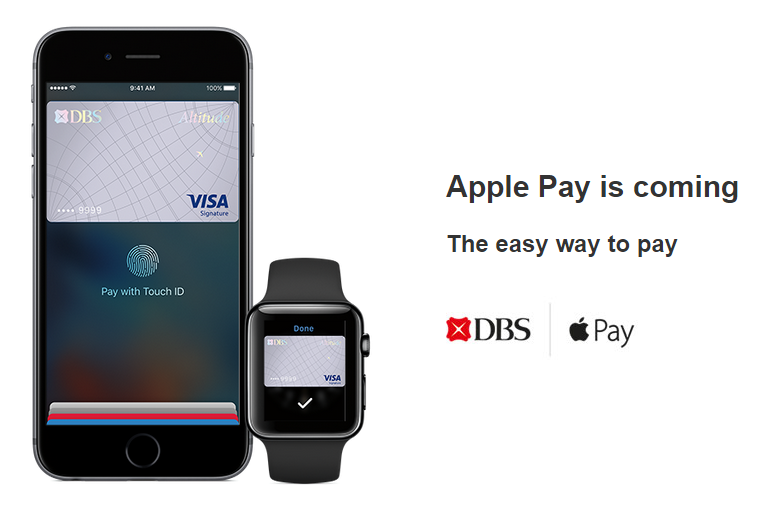 Best if can use apple pay to withdraw cash from ATM, that way I only need my phone, can keep my fat wallet at home. Hmm may need a mini powerbank in case phone run out of batt. They should set aside a battery reserve percentage specially for using apple pay. yeah yeah can't wait to test it out on my apple watch too! i am waiting for DBS, Citibank and OCBC but so far citibank and OCBC like not interested at all, no news of it. Some comment in website 9to5mac said, he already use Apple Pay in SG for months as it does work with our NFC enabled/ paywave enabled terminals that link with his UK credit card so once Visa for localise card support is switch on, i think we can use already, just like dr34mc4st3r said he tried at Mac proven working just that his a AMEX card. SAMSUNG pay supporting OCBC though but again no news on Citibank too. I think the $100 limit is an agreement set by Master/Visa and our local banks/government when they launch that time and i don't think they will increase the limit, if only we can set ourselves like max up to $300 which i think is just nice. Cheers Fellowes, we'll be offering both Apple Pay and Samsung Pay for our customers, look out for it. Unable to say the date, but rest assured.. it's coming. Yup, I know in South Korea, Samsung pay their Samsung phone and Gear S2 can use for their transport and ATM withdraw wise use phone (access Samsung Pay, choose the atm card and amount to withdraw) their atm machine also got the NFC reader then just place phone on the NFC reader and cash is withdraw! Last edited by Fellowes; 20-04-2016 at 09:27 PM..
Debit cards surely can, if not they are missing out a lot on the millennial generation, and that's huge in SG context! with samsung pay coming by June .. maybe launch tgt .. or earlier ..
the auntie like a sian haha. Actually its contactless, dun think you need to physically tap on the reader. Was at Tanglin Mall Starbucks today. The staff were not aware about Apple Pay.